Get information about the DPS College Station, including the address, telephone number and hours of operation for the DPS College Station driver license office on North Earl Rudder in Bryan, TX. Special Notes: You may schedule your driving test online for this location ahead of time, or go to the location and wait for an available appointment. Scheduled appointments always take priority over unscheduled appointments.Please note that drive tests are not offered between the hours of 11AM and 1PM at DPS College Station. 1. What should I bring when I make an appointment at the DPS College Station office? If you are renewing your TX drivers license, you’ll need to complete a drivers license renewal form, and be sure to bring your old license and your social security number. If you are trying to obtain your first license, then you will need to complete a online drivers ed course prior to your application at the DPS Office. If you are between 14 and 17 years old, you can get 20% off the enrollment cost for internet drivers education by clicking here. 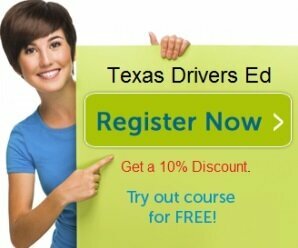 If you are between 18 and 24, and applying for your FIRST Texas license, you can also get a 20% discount off online Adult Drivers Ed by clicking here. 2. What are the DPS College Station hours of operation? The hours are 8AM – 5PM on all weekdays except for Tuesday, when the College Station DPS is open until 6PM. Since the College Station Department of Public Safety may close during special holidays, we strong recommend you call in advance of your visit to make sure that the office is open. 3. Can I pick up the forms that I need at the College Station DPS office? Yes, or you can access them online here on our website by clicking here. We strongly recommend you to have all of the required forms in order before your visit. Trust us, you’ll thank us later! 4. Is it true that the DPS College Station has a “Proof of Residency” policy for new Texas driver license applicants? Effective April 2012, any driver applying for an original TX driver license, Commercial DL or ID card is required to bring a minimum of two documents to verify his or her identity. Read more about what documents will satisfy this requirement. 5. What forms of payment are accepted at the College Station DPS? Cash, credit cards, checks and money orders are all accepted. When you apply for your license you must visit your College Station DPS location. You can study the Driver’s License handbook for Texas online, which is highly suggested before you go to the DPS College Station Location. If you don’t have access to online you can always visit the College Station DPS location to pick it up as well. Documents that are going to verify your identity, which are: U.S. citizenship or even lawful presence status, Social Security Number, and finally proof of your Texas residency. You will need to complete your application. You can find the form at your DPS College Station location. A statement that will affirm that you as the applicant do not own any motor vehicle. You must apply in person at your College Station DPS location and you should not only bring the above documents that are required, but also fees. The applicant must pass driving as well as knowledge tests, unless you are deemed to be exempt. Applicant will have to complete requirements for Impact Texas Teen Driver or ITTD if they are doing the driver education course for teens. NOTE: If the applicant who comes to the DPS College Station location is under the age of 25, they will also have to complete successfully a course in driver education, in order to apply for the Texas driver’s license. ATTENTION: As of April 1st, 2015, if the applicant is taking an education course for a teen driver, they must also complete an ITTD requirements before they will be eligible to sit and take the exam test for driving skills. If applicant at the College Station DPS is under the age of 18, there are extra requirements they will need to meet. You can find more information on those by visiting the Teen Drivers page, or talking to your DPS College Station representative. In order to help reduce any chance of identity theft, and enhance security as well as protect the integrity of the College Station DPS licensing process, anyone who is a non-resident visitor (that includes students) who are applying for the driver’s license or even an identification card, are required to meet some requirements. Look at the US Citizenship or Lawful Presence link where you will find those requirements described, and how you can prove lawful presence or citizenship. You can find the documents that are accepted at the College Station DPS by looking to the Verifying Lawful Presence Guide, which also has information for people who are temporarily visiting. Also, there is a brochure that lists all acceptable documents as well, you can find that as a download. If you have recently come to Texas and you have a current unexpired and valid driver’s license that is from a different state or even country you need to read more information at the moving to Texas link. If you are a rider of a moped or motorcycle please read the requirements that you need for getting a Class M license, at the Motorcycle Licenses link. If you are a disabled veteran you may qualify for an exemption to your fees for either an ID card or driver’s license. There is also a designation for veterans for your driver’s license, if you feel you qualify please look at the Veteran Services page for further information.